Living in the Los Angeles area, you realize that this place is packed with so many specialty stores. One of these fine boutiques even includes "the finest chocolate in the U.S." After a Sunday brunch this past weekend I passsed by K Chocolatier on Little Santa Monica in Beverly Hills, admiring this sweet (pun intended) little space. 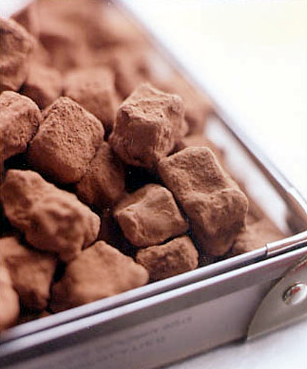 The luxury chocolate destination was originally established in New York City. 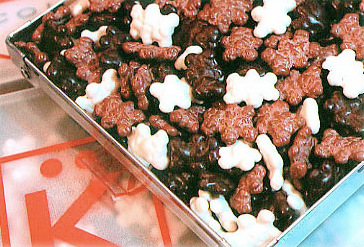 After opening the K (Kron) Chocolatier doors in 1973, their regular customers included Jackie Kennedy, Andy Warhol, and Katherine Hepburn, just to name a few. With the New York City success, the next stop was to open a location near the beautiful Beverly Hills and the summer, hot-spot in Malibu. The history alone speaks volumes about the quality of K Chocolatier chocolates. 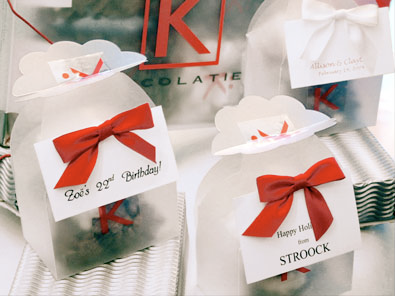 From the detail in how the chocolates are produced to how exquisite the packaged presentation is, we highly recommend a trip to K Chocolatier if you need a thoughtful gift or wedding favors. 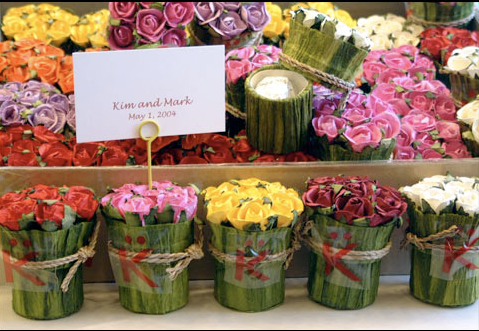 You can also visit their Website K Chocolatier.